On behalf of admin of JML Law, A Professional Law Corporation posted in Assault Injury on Friday, Jul 07 2017. It’s no longer safe out there. On a night you enjoy the company of friends and family, have a few cocktails and head back home in a good mood when suddenly a maniac surprises you in a dark street corner. This is something you want to avoid at all costs. Being involved in an assault can be dangerous. While some assaults don’t involve the use of weapons, aggressors often like to cause bodily harm. 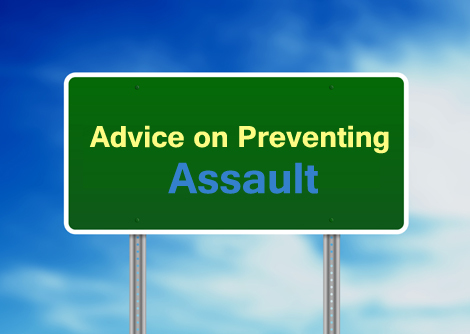 It’s important you exercise caution and learn about helpful prevention tips to keep you and your Los Angeles assault injury attorney about ways to protect claim your legal rights and hold the aggressors accountable for their actions. Don’t go out alone at night. Going out in groups or accompanied by someone is always better. Tell a relative or friend about where you are going and when you will be back. It’ll help notify the police if something occurs. Avoid any areas that are not well lit or secluded areas. It’s always safe to walk on the sidewalk and avoid bushes, doorways, or any other places where a criminal may hide. Always face traffic when you walk. If you walk against traffick you know what’s going on. Walking with traffic provides less visibility as the victim can be forced into a vehicle and have greater risk of being attacked. Remember mom’s advice. Don’t talk to strangers. Walk with confidence and steady. Wear comfortable clothing and don’t carry too many items. Look around you and don’t get distracted with listening to music, texts, or phone calls. Don’t accept rides from people you don’t know. Call 9-1-1 if you see any suspicious activity. Don’t carry a lot of cash with you or wear expensive jewelry. Check your vehicle to see if there is anyone hiding in it. Park in places that are well-lit. Always run or scream if the assault actually occurs. Although using these tips doesn’t guarantee you will never become a victim of an assault, these steps will definitely reduce your risks of being assaulted. Thieves particularly want quick money. They want you computer, cellphone, bike, or anything else they can sell. If you are at home, never open the door to strangers, keep windows locked, and lock valuable items. Trust your instincts. Remember thieves are never on vacation. Allow our Los Angeles assault injury attorneys to investigate your assault and find out the main causes. We will represent your rights and make sure you are rightfully compensated for all your losses. Our attorneys are experienced litigators willing to take cases like yours. Contact us today and schedule your initial case evaluation. We are always here for you. Be safe!